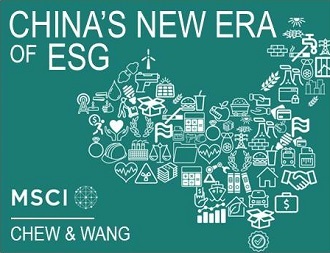 Wang Xiaoshu is a Senior Analyst with MSCI ESG Research, primarily focused on environmental, social, and governance (ESG) risk and performance analysis of Asia-Pacific companies and specializing in the financial sector. She publishes research on major ESG trends in the Chinese financial industry such as shadow banking and credit risks arising from environmental issues. Prior to joining MSCI, Xiaoshu was a management consultant with CapGemini for several years, working with major Chinese bank and financial institution clients to address Basel 3 compliance, develop internal performance metrics systems, and improve operational processes. Xiaoshu also worked with Business for Social Responsibility (BSR) in Beijing to define sustainability strategies for over ten large MNCs and state-owned enterprises in China. She holds a Bachelor of Finance from Peking University and is a CFA candidate (successfully passed Level III).